The Galaxy S6 and Galaxy S6 Edge came with great features and specifications. Today, we’re going to reveal some tips and tricks that you can use on your Galaxy S6 device right after you buy it. To add your fingerprint to the Galaxy S6 is quite simple and only takes a few minutes. Without a doubt, the finger scanner that the Galaxy S6 comes with is way better than the one found on the Galaxy S5 or Galaxy Note 4. Both the hardware and software are improved and there is a touch based sensor, not a “swipe-based” sensor. During the initial setup, you will be able to register your fingerprint and notice the speed and accuracy of the Galaxy S6 fingerprint scanner. During the initial setup, you will be asked to use Android Lollipop’s Tap & Go feature, which allows you to transfer photos, videos, music, calendars, contacts and other files from a device to another. If you don’t want to use this option because your old phone doesn’t support NFC or it’s running on iOS, you can always use Samsung’s Smart Switch application. Just install the Smart Switch application and follow the instructions to transfer old data to your new Galaxy S6 device. You can take screenshots while using your Galaxy S6. To do this, you will need to navigate to the page that you want to capture and press+hold the Power and home buttons until the screen animates and a preview of the screenshot will appear in the navigation shade. The screenshots can be found in the Gallery application, under the “Screenshots” folder. This feature was already available on Android Lollipop. However, Samsung comes with its own version that can be accessed via the Qucik Settings menu or via Settings->Sounds & Notifications->Do Not Disturb. You can also set some exceptions such as alarms, calls and messages from specific contacts and many more. There are times when your smartphone freezes and you can’t do anything to it. As you know, the Galaxy S6 has a non-removable battery, which means that you can’t actually “restart” it by cutting the power for a few seconds. However, Samsung comes with a solution when you have this issue and allows you to restart the device when the system is not responding anymore. To use the force restart function, press and hold the Power and Volume down buttons for seven seconds. 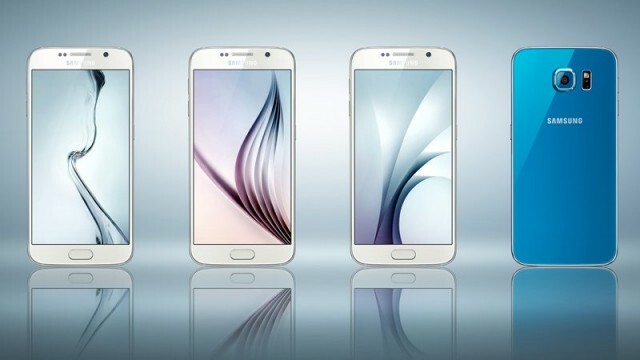 The Galaxy S6 comes with its own battery saving modes: ultra power saving mode and regular power saving mode. To enable power saving mode, go to Settings->Battery and turn on the Ultra Power Saving mode or the Power Saving mode. You can now claim your 100GB free cloud storage on One Drive for two years. After two years, you will have to choose if you want to continue to use the storage or not. Of course, you will have to pay for it or else you will lose all the files stored there. This is one of the greatest features that the Galaxy S6 comes with. To turn on this feature, you will need to go to Settings->Motions and Gestures. This is a great feature that will let you know if you’ve missed a message or a call, while leaving the phone on the desk. If you’ve missed a call, message etc., the device will vibrate when you pick it up from the desk. 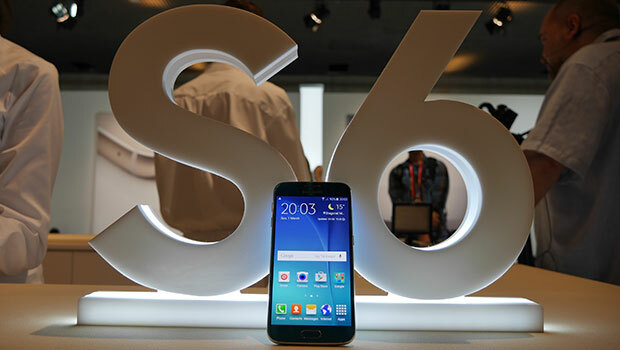 The Samsung Galaxy S6 comes with an Exynos 7420 processor and includes Qualcomm’s fast charging technology via Galaxy S6’s USB charging adaptor. If you’ve been using an old USB charger, then it is time to change with the new Galaxy S6 charger, which will charge your device much faster. If Galaxy S6 is your first smartphone, then we suggest you to use the Easy Mode in order to make things easier. To enable this feature, head to the Settings->Easy Mode and turn it on. After you get used to the device, you can change it back to Standard mode. We suggest you to continuously check for updates for your system. To do this, go to Settings->About Device->Software Update->Update Now and you will force the Android OS to check for any available updates. The Quick Settings tab can be customized the way that you want. Do you have a toggle in there that you don’t use? Well don’t worry, because you can remove it by tapping the Edit button. The toggles that are on the top side (in the light blue area) are the toggles that you will see in the list. However, you can drag and drop them and remove them. You can even change the location of the toggles, so that you can access them faster.